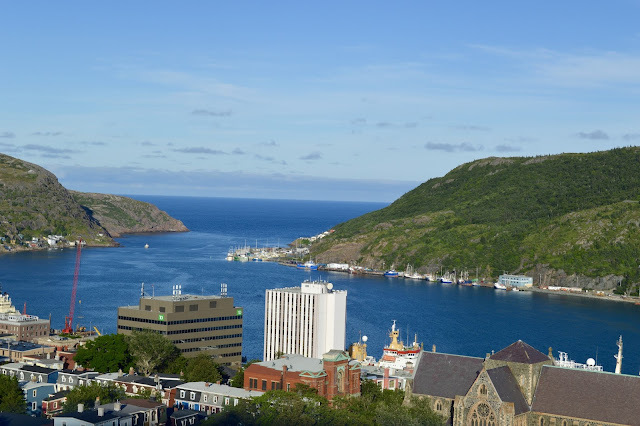 As soon as my sister and I booked a trip to St. John's, I started researching restaurants and breweries. With only a week, we scoured the city for as many traditional meals and as many local beers as we could. Here's what we managed to fit into a week on the rock. I'm already itching for a trip back! You can pretty much find cod prepared in every way in St. John's. 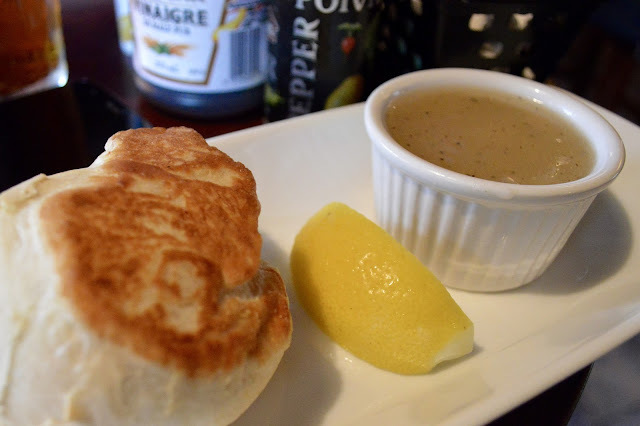 In just one week, I tried cod gratin, cod fish and chips, a cod burger, cod tongues, cod chowder, and cod cakes. My first taste of seafood upon arriving in St. John's was the Celtic Hearth's salt fish cake benny: two freshly fried fish cakes topped with poached eggs and hollandaise sauce. The Celtic Hearth is in the heart of St. John's industrial downtown. It's housed by one of the few buildings that survived the city's Great Fire of 1892. Friendly and welcoming, it was a perfect first stop in St. John's. 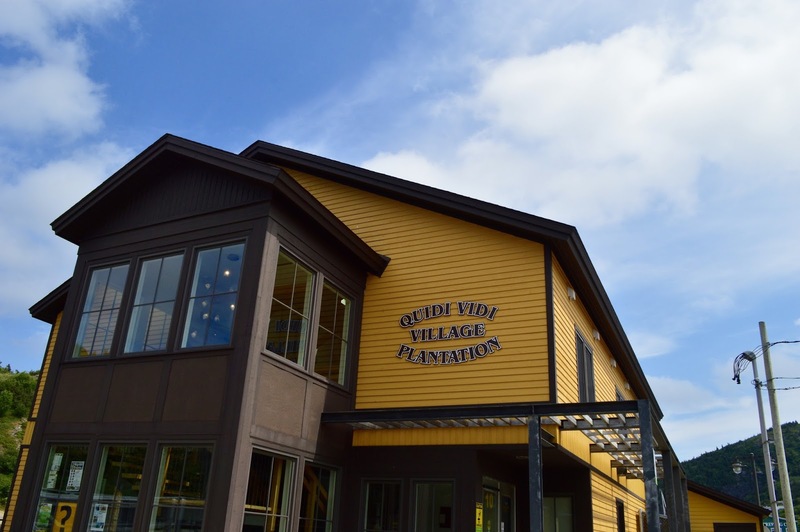 Quidi Vidi is a picturesque neighbourhood located less than 15 minutes outside of downtown St. John's. 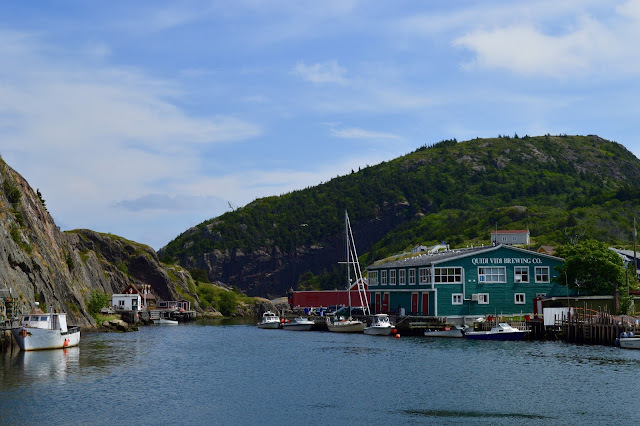 Quidi Vidi Harbour, known locally as "the gut", is a charming place to wander by foot. 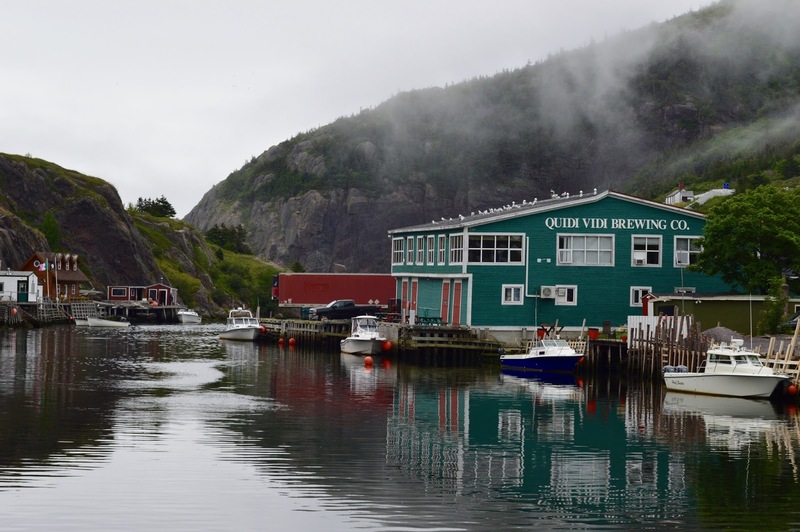 It's also home to the Quidi Vidi Brewing Co., which was established in 1996. Founded by former engineers in the offshore oil industry, David Fong and David Rees, the brewery "competes in a market which has been dominated by national and international giants." It takes pride in Newfoundland's rich heritage. "The newly reconstructed building, formerly the Cabot Seafood’s Plant, sits surrounded by granite cliffs at the mouth of the harbour in Quidi Vidi Village. With its green spruce clapboard and white trim, it looks comfortably at home within the rustic surroundings of the village. 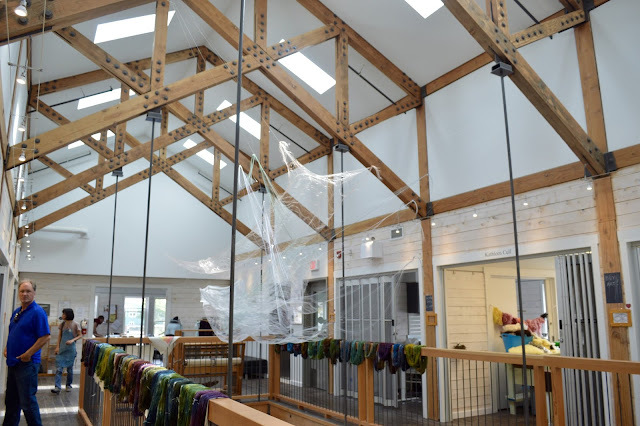 This ultra-modern facility houses a state-of-the-art brewery, a retail store, administrative offices, and reception room." 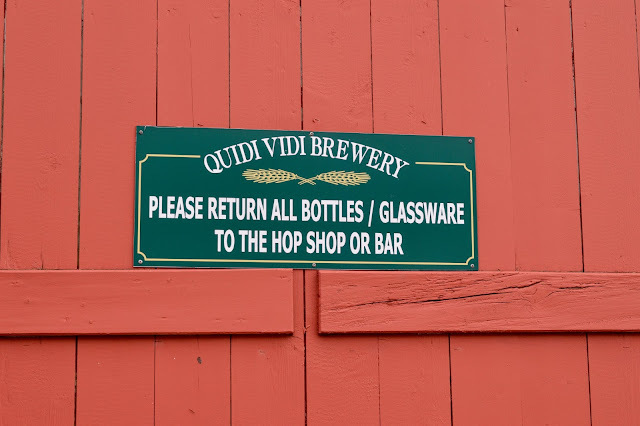 The brewery offers tours and tastings, but what's most unique is, unlike a Toronto brew pub, there's no formal area to sit and enjoy a beer. Instead, you're encouraged to buy one of their many of their award-winning brews, crack it open with a bottle opener tethered to the cash, and enjoy it on the wharf. While enjoying one of the brewery's famous Iceberg beers we enjoyed a show by a cheeky local fisherman who sprayed us with cod gut mist as he washed down his table after gutting some fish. 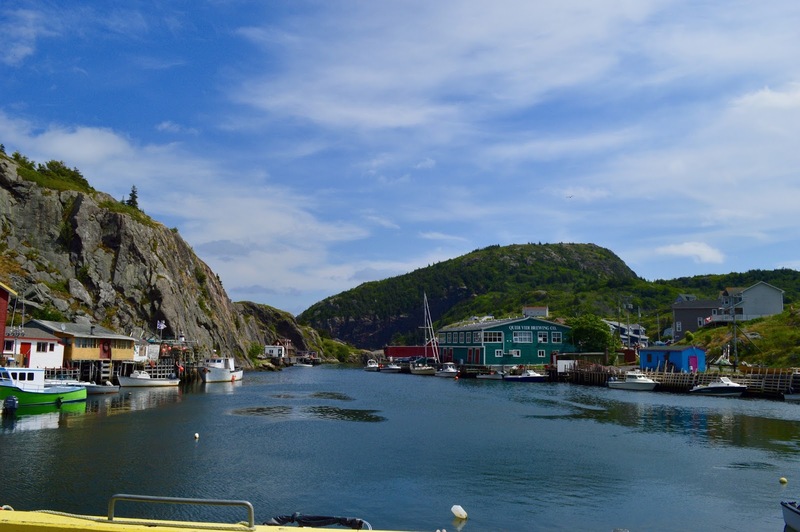 Seriously, does it get any more Newfoundland than that? If you're going to do anything while visiting St. John's and area, visit Quidi Vidi. 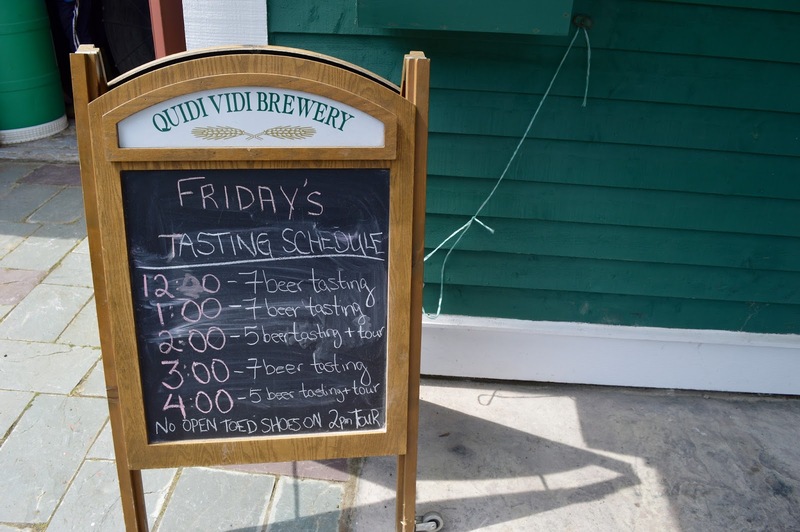 Enjoy a brew and stop by the Quidi Vidi Village Plantation to chat with local artisans while you're there. Fixed Coffee & Baking appeared early on my must-visit list after stumbling upon their Instagram a few weeks before I arrived in St. John's. 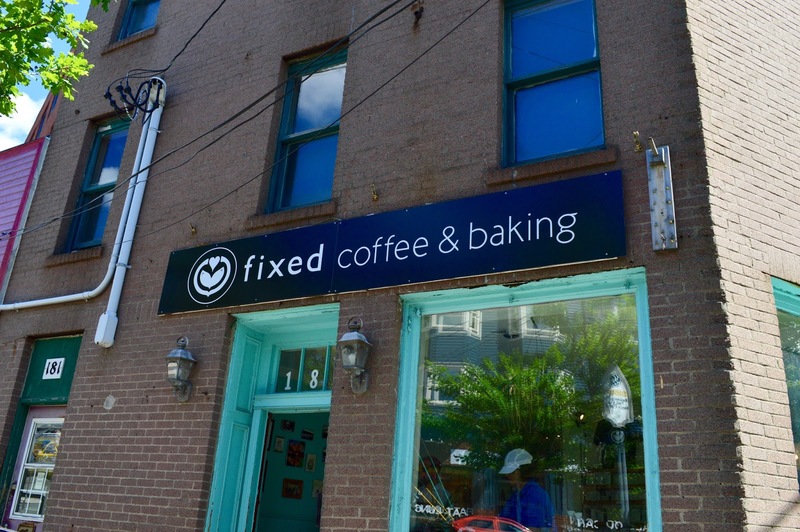 The folks at Fixed seriously love coffee. "At Fixed we believe that coffees should be named by their country, region and farm name, and not by their roast level. We brew one single-origin coffee of the day—we never brew blended coffee. We believe that coffee should be a delicious representation of its region. 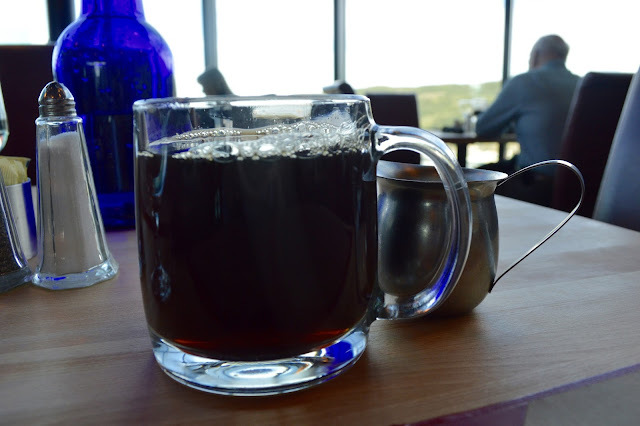 We brew only six cups at a time made in a Fetco coffee brewer, to ensure freshness, and if you are ordering a coffee to stay, we can brew your coffee fresh by the cup in a pour-over brewing device." They also seriously love local arts and artists, selling local zines and albums. 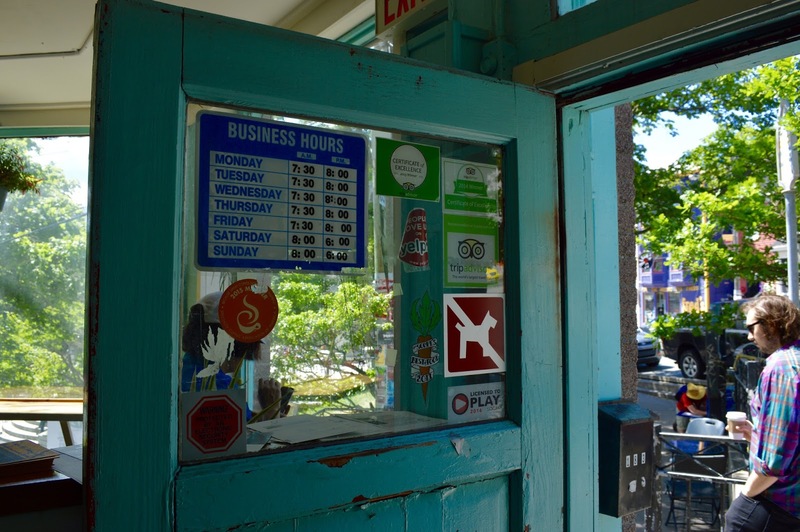 Fixed is associated with Broken Books, the only independent new-bookstore in St. John’s. 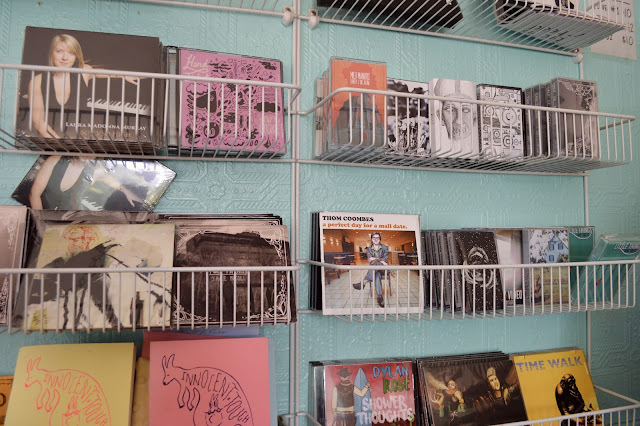 (Broken Books is incredible, but I'll get to it in a separate non-food related post about St. John's.) If you can't tell already, Fixed is my kind of place, and it felt like a little slice of Hamilton a handful of provinces away. 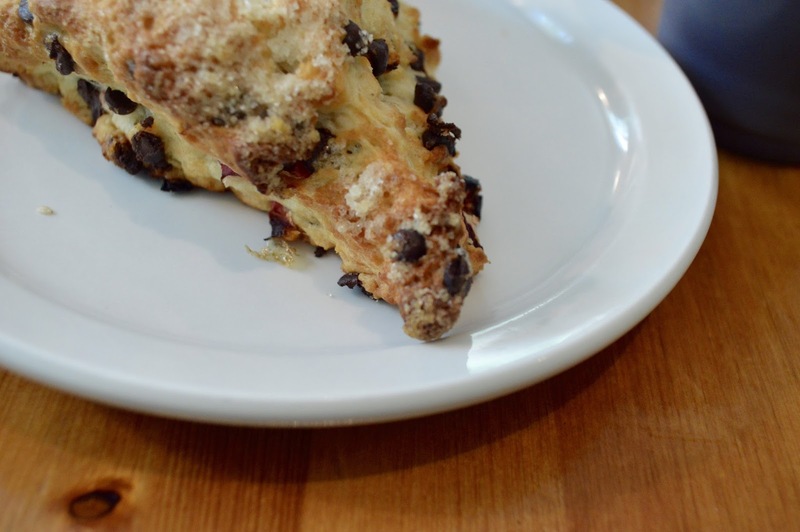 We visited Fixed on a uncharacteristically hot day, so I had an iced coffee and probably the most delicious scone I've ever had. "Sitting where George Street intercepts Water Street, YellowBelly is a testament in stone and masonry to a time long gone. Originally constructed in 1725 and one of the oldest structures in North America, it's the place where the 'Great Fire of 1892' was finally extinguished." 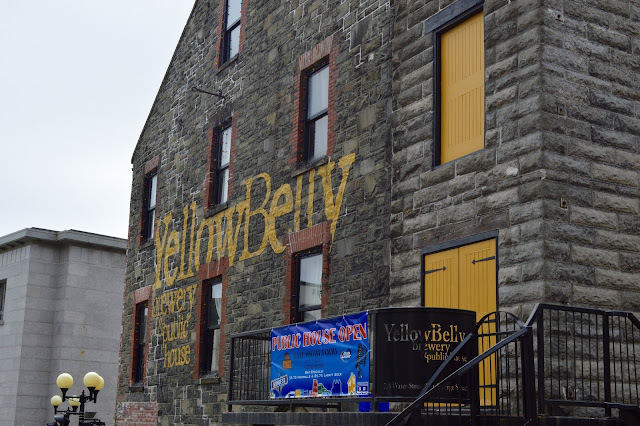 Quite a few people told us we had to visit YellowBelly while in St. John's, and I'm so glad we did. Before our first night at the famous George Street Festival, where we saw #HamOnt boys the Arkells, we braved the cold and sat on the patio of YellowBelly. Keep in mind, this was the same day I needed an iced coffee at Fixed. The weather changes very quickly in St. John's! 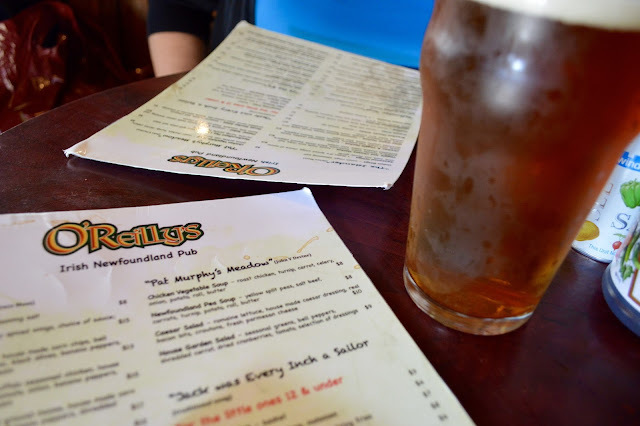 What I loved about YellowBelly is that not only are their beers fantastic, but they also use them in so many of their menu items. 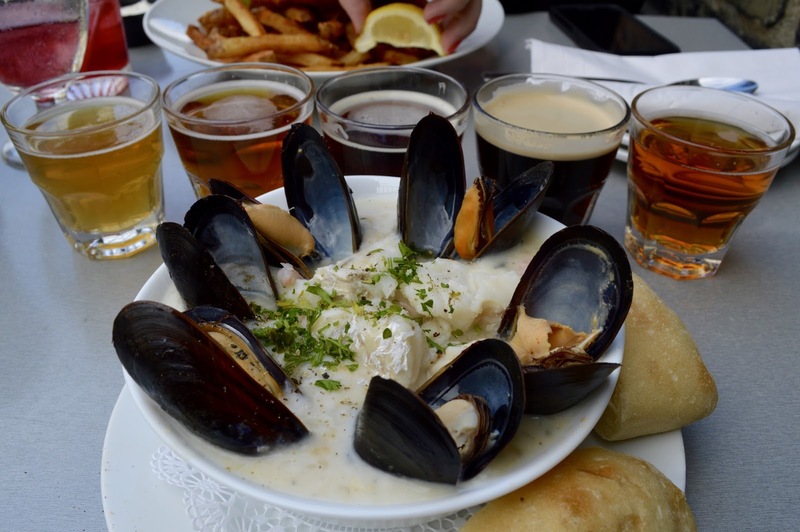 I settled on a beer-less item, the creamy seafood chowder: A selection of seasonal seafood and market vegetables simmered in a creamy seafood velouté, topped with steamed mussels. I also did what every beer lover must do: I ordered a flight of beer. Pictured below are Yellowbelly's Wexford Wheat, YellowBelly Pale Ale, Fighting Irish Red Ale, St. John's Stout, and a seasonal cider. Luckily, this wasn't my only chance to try a YellowBelly beer. Luckily many of the pubs and restaurants around the city had it stocked. If you're wondering, my personal favourite was the St. John's Stout. 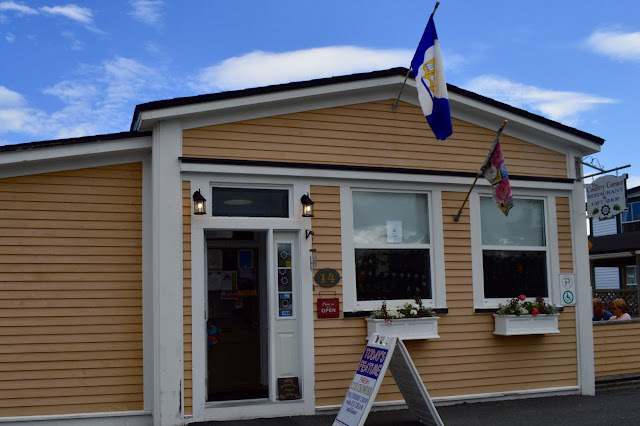 Have you read Alan Doyle's memoir, Where I Belong, about growing up in Petty Harbour, just down the road from St. John's? If not, it's a fantastic read! He dedicates Chapter 5 to the cutting of the tongues, meaning his childhood job of cutting out the triangular bit of flesh in the mouths of codfish and selling them to local restaurants as a delicacy. "They are very labour intensive to harvest, as it requires someone to handle every single fish and cut out the tongue by hand," he writes. "Can I have your tongues?" I expect that's a sentence that sounds strange to just about everyone, yet it was shouted hundreds of times on every summer day in Petty Harbour. How weird it must have seemed to any visitor from the Mainland who happened upon the wharf when a boat was coming in — this pack of young fellas in rags, waving buckets and sharp knives, shouting out to sea, "Can I have your tongues?" My sister and I had both already read this passage from Where I Belong, so it was imperative that we try the tongues. We visited Shamrock City pub before, fittingly, seeing Alan Doyle at the George Street Festival. 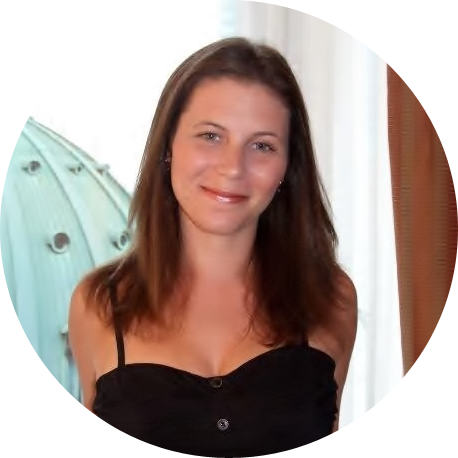 How do I review cod tongues? They tasted like you might expect a cod tongue might taste: chewy and fishy. That said, I quite enjoyed them! I'm going to rave about The Rooms in another post. Part art gallery, part history museum, it's one of the most spectacular cultural centres I've ever visited. 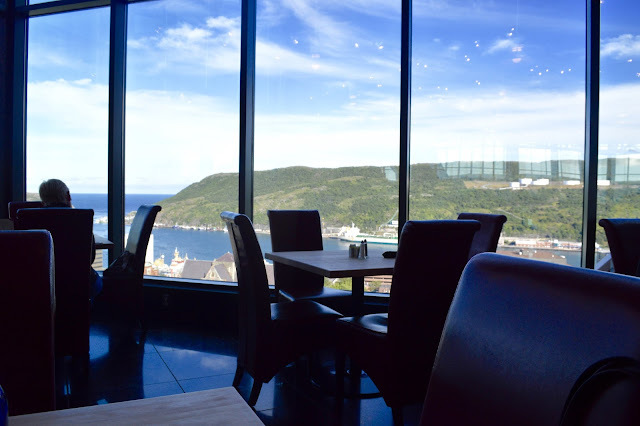 It also houses a restaurant with the most stunning view of the St. John's narrows I saw on my trip, and to make things even better, the food was fantastic. 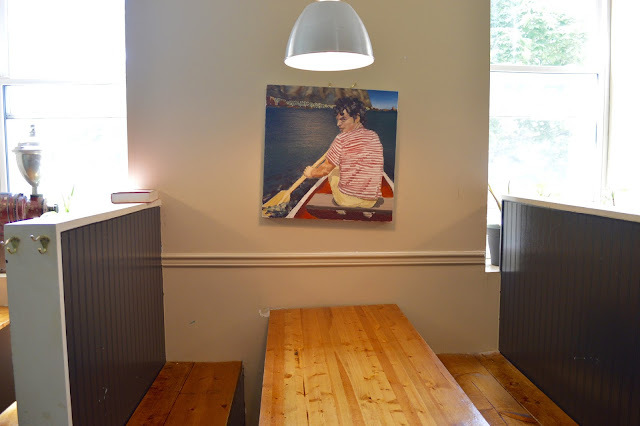 "The menu emphasizes Newfoundland and Labrador’s food heritage, focusing on traditional fare with an eclectic twist. 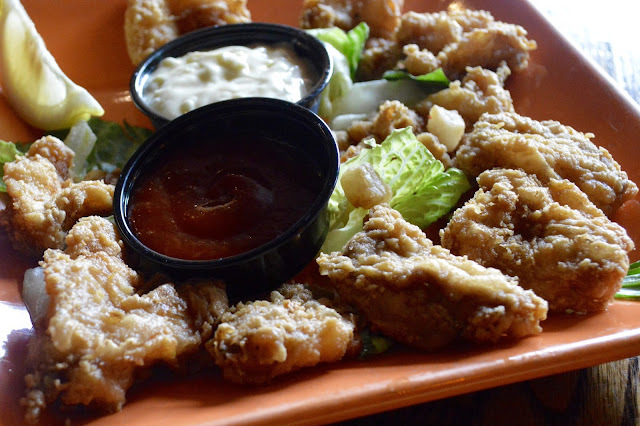 Every menu item is made from scratch using only basic fresh and raw ingredients. A range of specialty coffees, house made desserts, and carefully selected wines and micro-brewed local beers are also available." 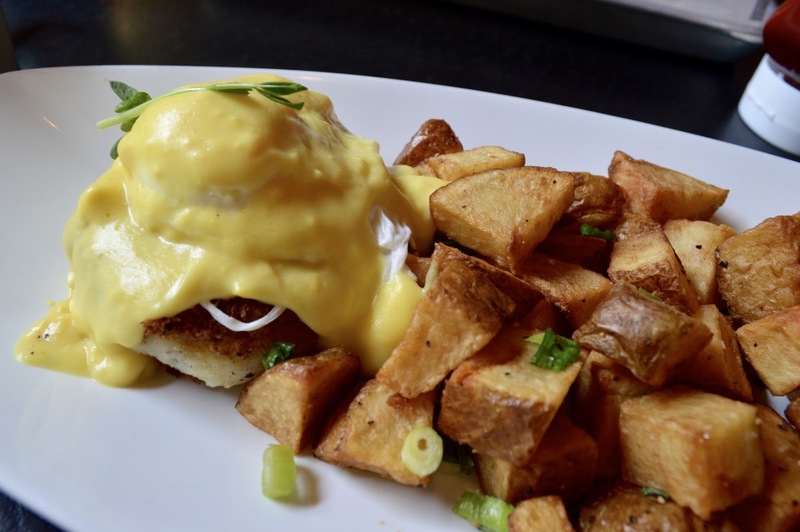 We started with the traditional cod cakes: Local salt cod simmered in milk, rosemary, savoury, caramelized onions, potato, and served with grainy mustard aioli. There's no photographic evidence. We devoured them within seconds of their arrival. 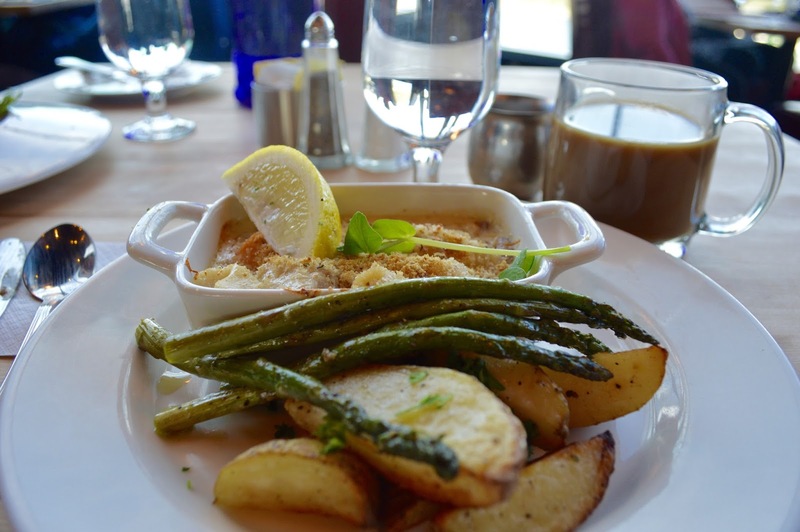 I ordered the seafood gratin, and it was easily one of my favourite meals in St. John's: Atlantic salmon, local cod, shrimp, and scallops, white wine cream, lemon zest and cracked pepper, Newfoundland savoury stuffing, parmesan cheese, and seasonal vegetables and roasted potatoes. We finished our meal with a slice of gingerbread cake. The entire experience was absolutely wonderful. We stopped at the Country Corner Restaurant & Gift Shop on a day trip with McCarthy's Party tours. 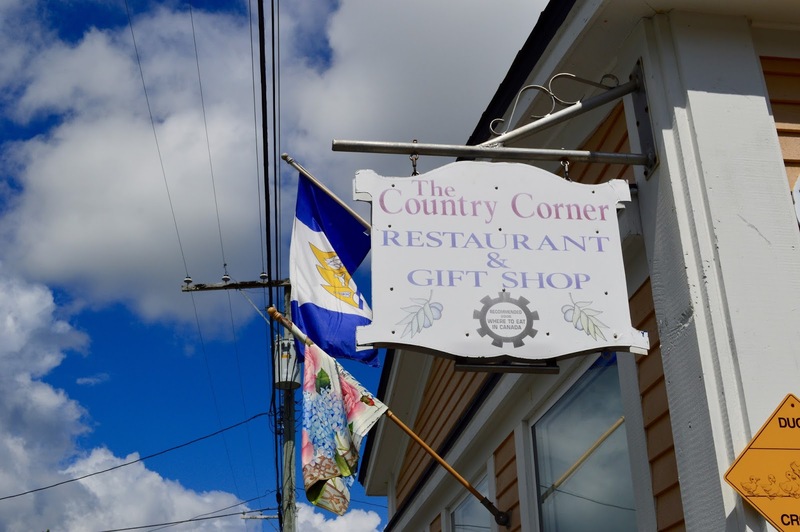 Located in Brigus, a small fishing community located in Conception Bay, the Country Corner is as quaint a place as you can imagine. While many folks on the tour ordered their moose stew, I ordered their house specialty, the cod chowder. 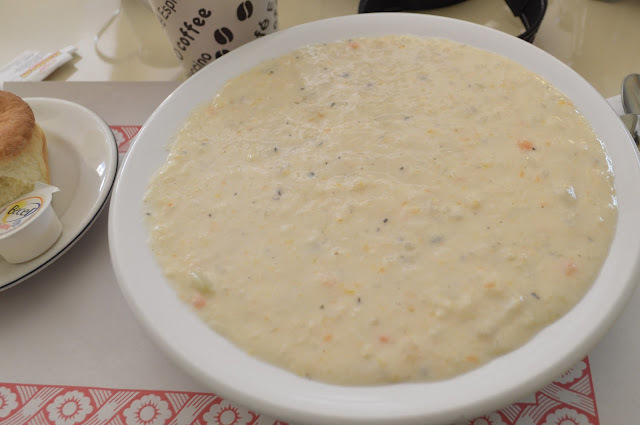 While it might look a little unassuming, I assure you this chowder was incredibly flavourful. I'd kill for a bowl right now. 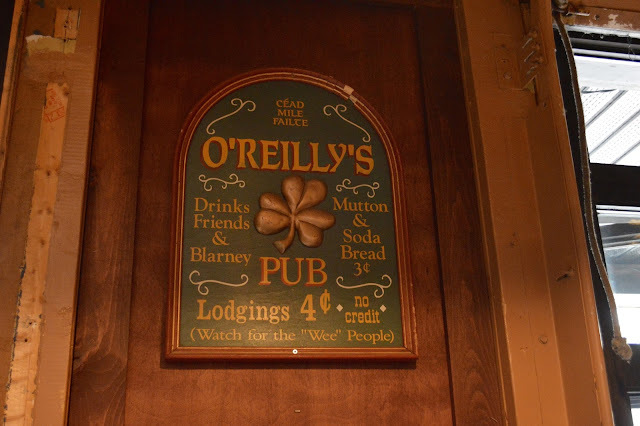 On our final night in St. John's, we wanted to check out some live music, so we visited O'Reilly's, where Russell Crowe once famously played. We started our meal with toutons, a traditional pancake made by frying bread dough on a pan with butter or pork fat. 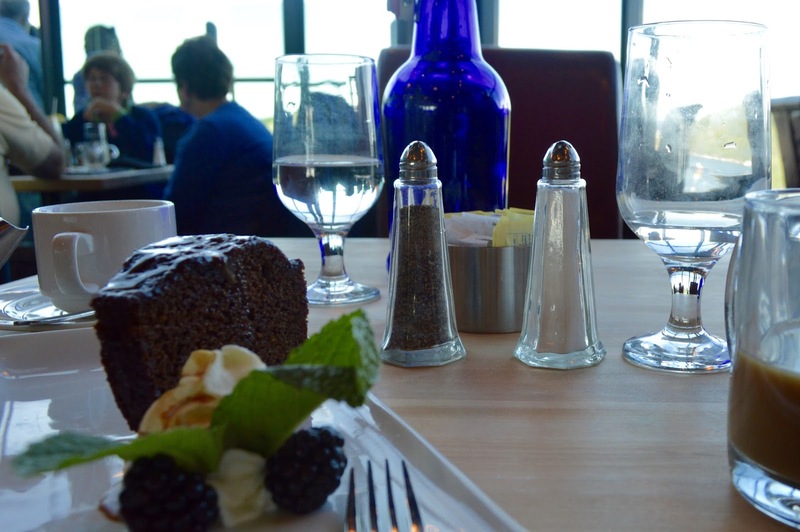 My sister ordered the pan-seared touton served with molasses and I ordered the salt cod stuffed touton. 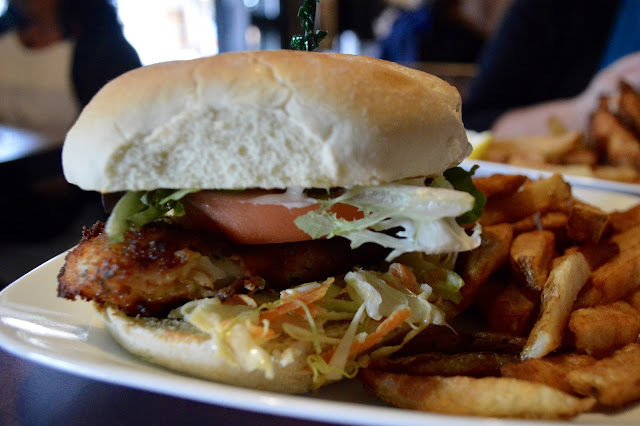 After that, my final meal in St. John's was a cod burger served with yet another pint of YellowBelly beer. I'm cheating a little bit here. 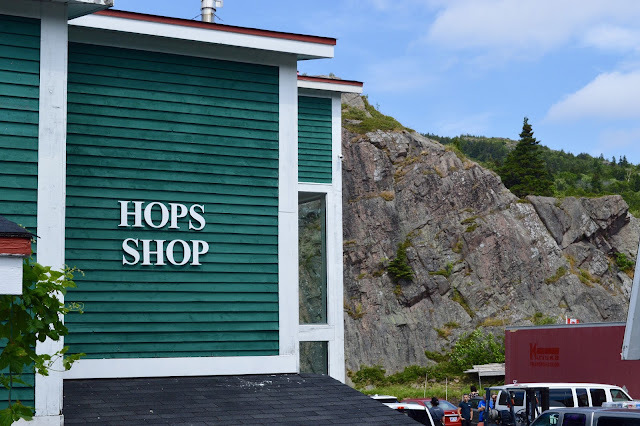 We didn't visit the Boxing Rock Brewing Co., but we did have a one-hour stopover at the Halifax airport, which was just enough time to load my carry-on with a few local beers. 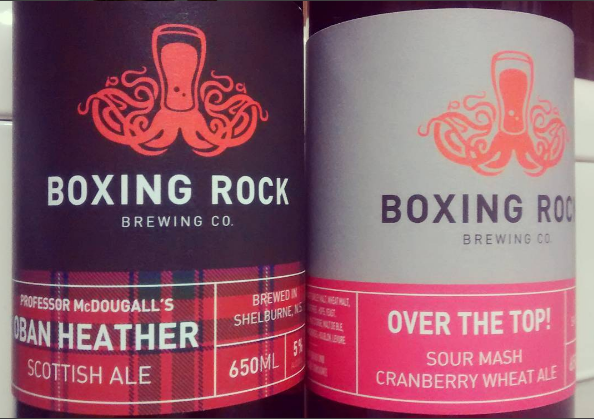 Founded in 2012 by two engineers with a passion for beer, Boxing Rock is one of Nova Scotia's newest craft beer outfitters. I've yet to try the Sour Mash Cranberry Wheat Ale (saving that one for tonight! 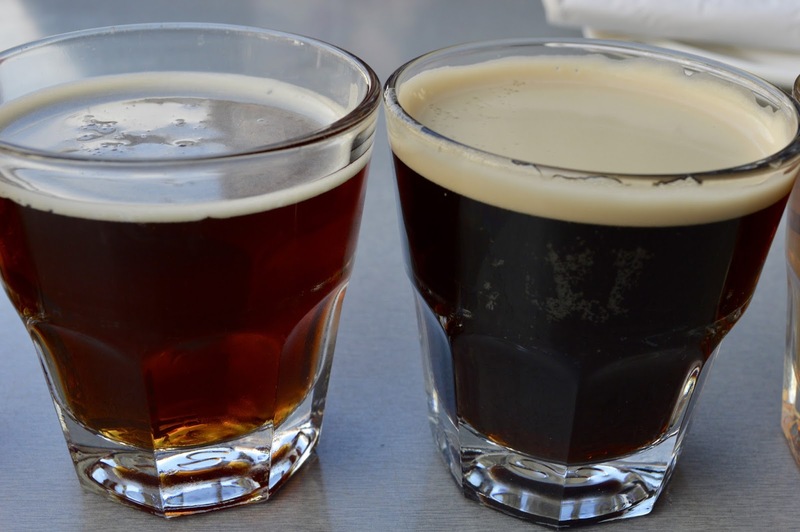 ), but Boxing Rock's Scottish ale has me dreaming of another trip to the East Coast.